Light, pacy and enjoyable, this adventure romance is a delight from beginning to end. With sound morals and gentle reference to Christianity, the leading lady is one with whom spending time was fun. Mystery, sass, fashion and a strong female in the lead, a great combination! 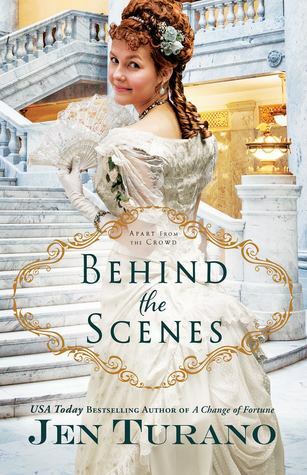 Sign into Goodreads to see if any of your friends have read Behind the Scenes.